I don’t know if you are aware of it, but Amazon has maintained a steady place in the tablet market. In fact, it ranks highly in second place, thanks to its Kindle line of e-readers. You may say whatever you want about the magic of the iPad (I will not disagree), but if you are in the market for a device that might not be as magical but work just as perfectly for certain things, then the Kindle is no doubt an excellent device. Even more so when Amazon launched the Kindle Fire. I, for one, am not at all surprised at how many people have fallen in love with the Kindle. I would get one if I didn’t already have too many devices to deal with. Then again, it is hard to ignore the allure of the iPad. The next iteration of the Fire will be thinner and lighter than the original. It will also have a built-in camera and a much-improved display. And, more importantly, developers familiar with the device have been instructed to build their apps for a display with a 1280 x 800 pixel resolution, which is a bit different than the 1024 x 600 display of the current Kindle Fire. Not only will that apparently make it sharper and more vibrant, it will give it a different aspect ratio, as well. In other words, the display has an entirely new width-to-height ratio. “The really interesting thing here is that the screen shape is changing slightly: From an aspect ratio of 1.71 (tall and narrow in its standard Portrait mode) to an aspect ratio of 1.60,” DisplayMate President Raymond Soneira told AllThingsD, when asked about what that means. So it seems that the new Kindle Fire is going to slim down, which is always a good thing for when one is on the go. To be honest, though, I couldn’t care less about the addition of a camera, but some people do fall for that. As for the improved display, that might just catch the attention of more new users. 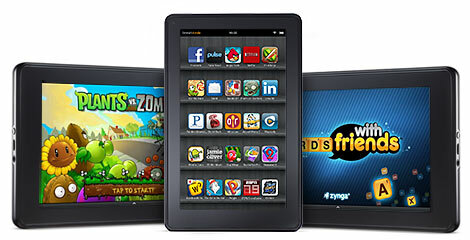 Watch out for the new Kindle Fire in the third quarter of this year.